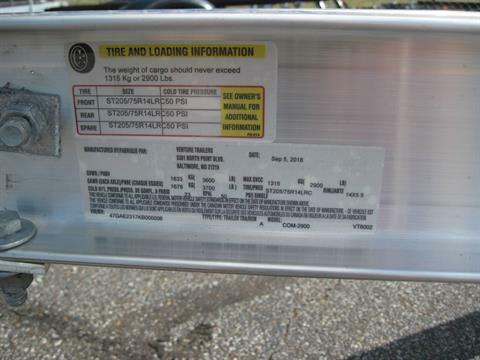 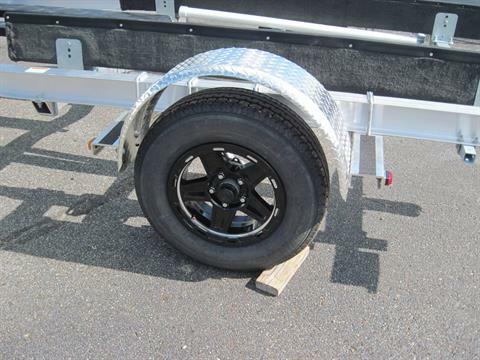 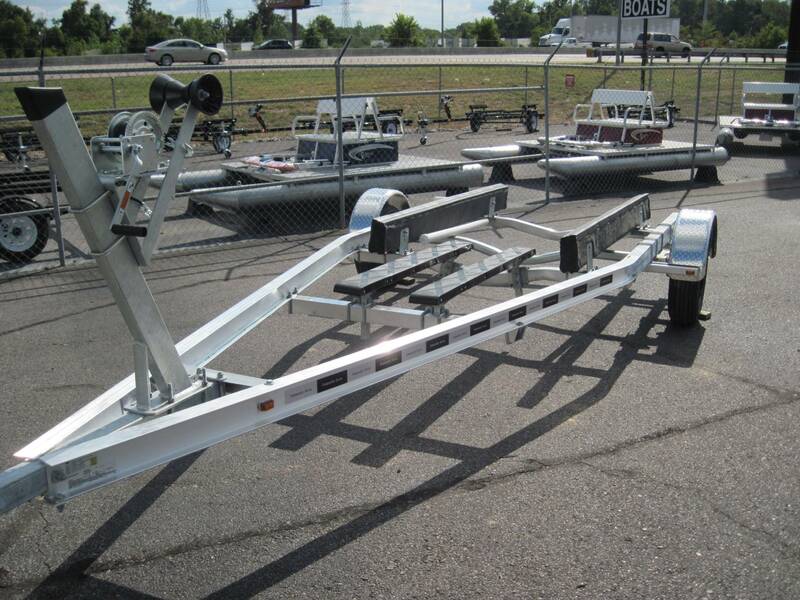 aluminum single axle trailer for 18 to 20’ boats less than 2900 lbs. 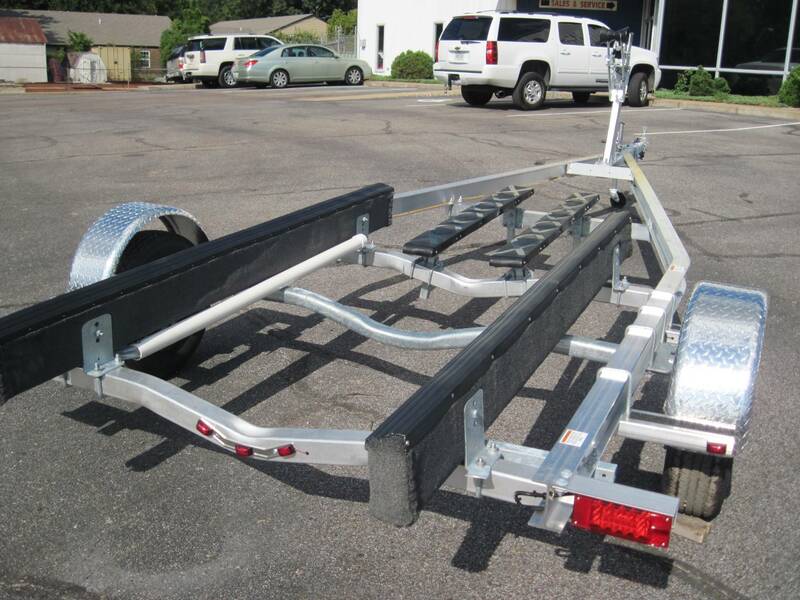 This Venture top-of-the-line Commander series aluminum trailer will carry boats 18 to 20’ long, that weigh less than 2900 lbs. It has a 2” coupler, waterproof LED lighting, 14” radial tires, aluminum sport wheels, torsion axles with Vortex 100,000 mile hubs, adjustable winch stand and bunks with Poly Sleeve, target bunks, load guides, a heavy duty tongue jack and aluminum Diamond-Plate Fenders. The COM-2900 is 101” wide and it weighs 700 lbs.